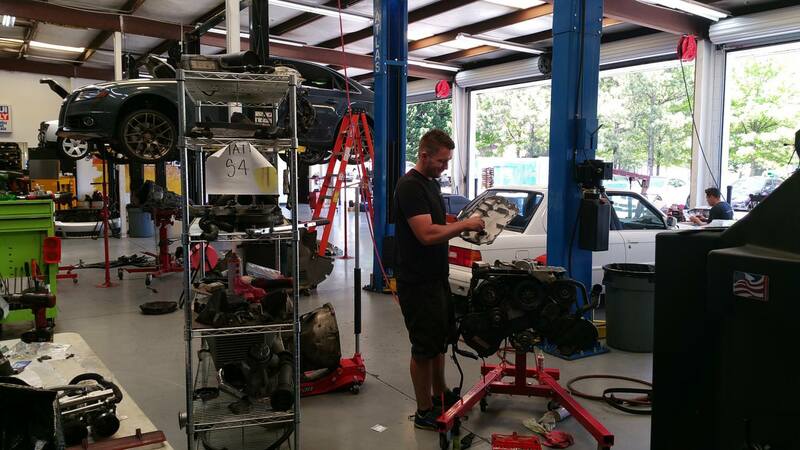 What do we do at Solo Motorsports? Whether you are the owner of an exotic vehicle or a classic, trust the highly trained specialists at Solo Motorsports. Come for the legacy, stay for the experience and expertise. At Solo Motorsports, we understand that second-rate service is a blight on the automotive industry. So many businesses out there only care about the bottom line, and lack the passion required to tend to German vehicles. Since you cherish your car, it is only fair that our business treasures it as well. By providing top-tier care to you and your vehicle, Solo Motorsports aims to redefine the relationship between car enthusiast and car dealer. 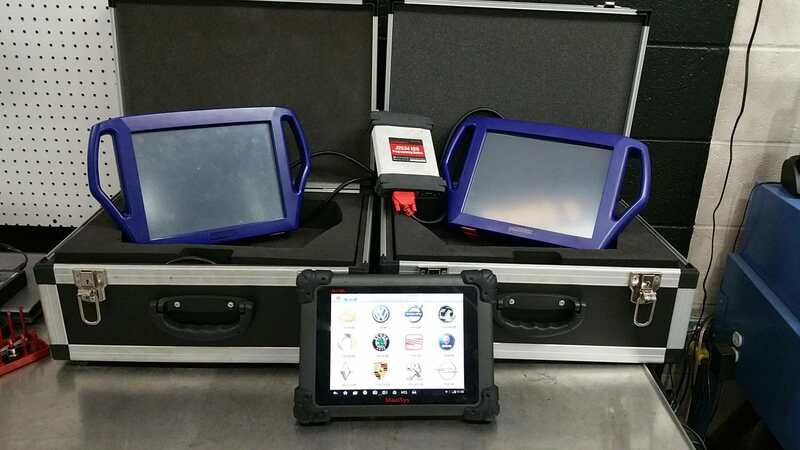 At our location, we offer the most up-to-date diagnostic equipment available to ensure your vehicle is in top shape. Additionally, our experienced technicians perform all maintenance repairs and custom performance work, which means that your prized possession is in the hands of professionals who recognize the value of a new model or timeless classic. 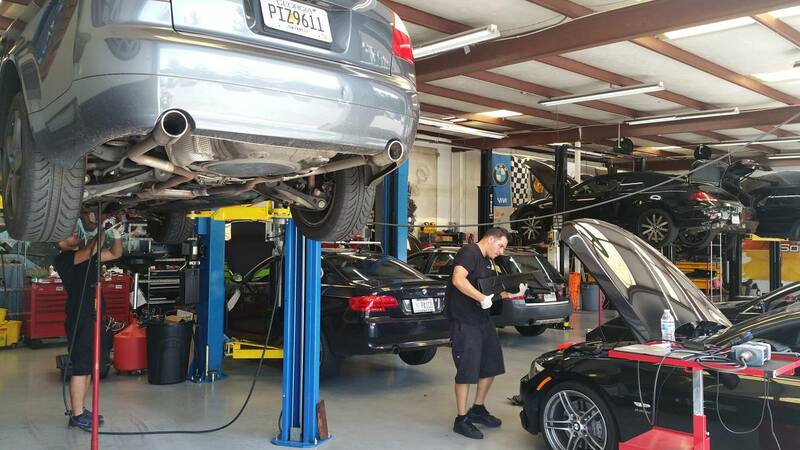 If you want to work with individuals who understand both you and your car, Solo Motorsports is your prime destination for all German vehicles such as BMW, Mini, Mercedes-Benz, Porsche, Audi and VW. 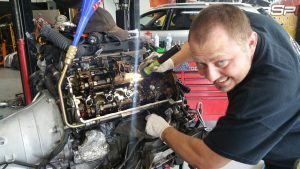 We perform all mechanical repairs such as: General Auto Repair, Routine Maintenance, Brakes, Tires, A/C and Heater, Performance Upgrades, Electrical Diagnostic, Complete Vehicle Detailing, Custom Tuning and much more. 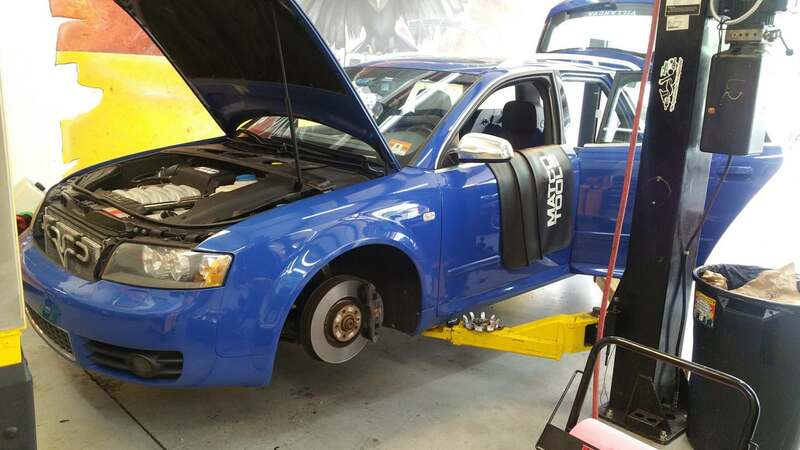 Solo Motorsports is the ideal one-stop for peace of mind and service excellence where you know both you and your vehicle are in good hands. We start with the best parts, the best gear, and the best tools and is carried out meticulously by the best, most highly-skilled technicians to the most distinguishing customers on the market. Due to our direct vendor relationships, we have high tech diagnostics and performance gear unavailable to most shops. Because of this, we can eliminate the guesswork many other shops perform when it comes to European cars. Solo Motorsports is unquestionably the best in the Southeast for parts, quality service, and innovation. 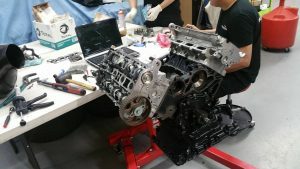 If you’ve ever ridden in a vehicle that has been neglected by the owner or hasn’t had the restorative touch of a licensed mechanic, you’ll know that sacrificing performance is never a pretty option. 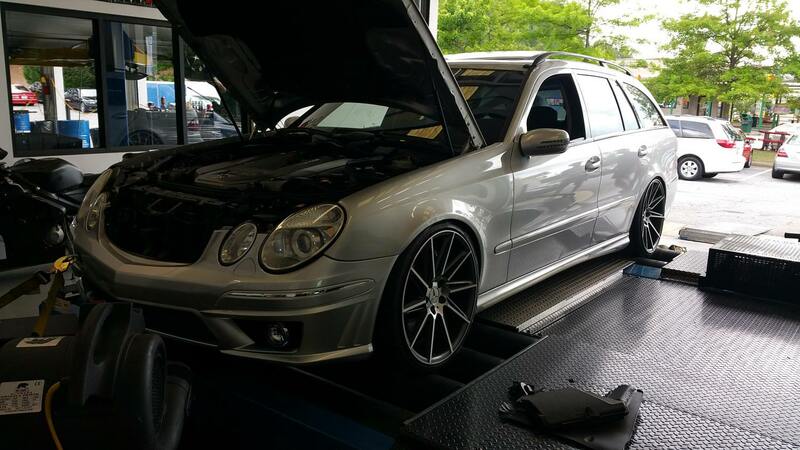 Here at Solo Motorsports, we offer the best performance upgrades in the area. While anything is possible, we want to make sure that your car is exactly how you like it. Maybe you want more power. Throttle up your fuel system with a performance fuel injector. If you crave efficiency and capability, consider installing a motor turbocharger. Or perhaps you want to go crazy with nitrous to increase your engine’s power. The imagination is the limit, and Solo Motorsports can make it happen. Everyone has their reasons for needing custom fabrication. 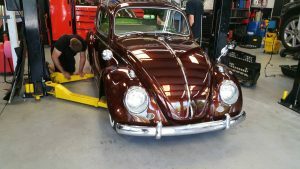 Some want to enhance their exhaust system, others may want to make their car look like a beast on the streets with a full welded tubular chassis or roll cage. Whatever the case, quality has always been the motto for Solo Motorsports, so you can be sure we’ll never let a botched fabrication job leave the shop. We know that nothing is worse than a half-degraded sway bar that makes your car knock and buck even on the straightest of roads, or a brake pedal that doesn’t feel stiff enough under your foot. By using the best parts available, we can fine-tune your suspension and brake system to keep your vehicle as loose or steady as you like. You might be concerned that a part for your car is hard-to-find or expensive. No worries, we can try making a custom one in the shop. Too many accidents happen each year due to worn tires or otherwise preventable incidents due to poor contact with the road. Hydroplaning during a rainstorm, wheels losing grip on the asphalt on a tight corner, tires blowing out on the highway – these are situations which can be avoided with proper tire maintenance and quality products suited for casual riding, racing, or competition. 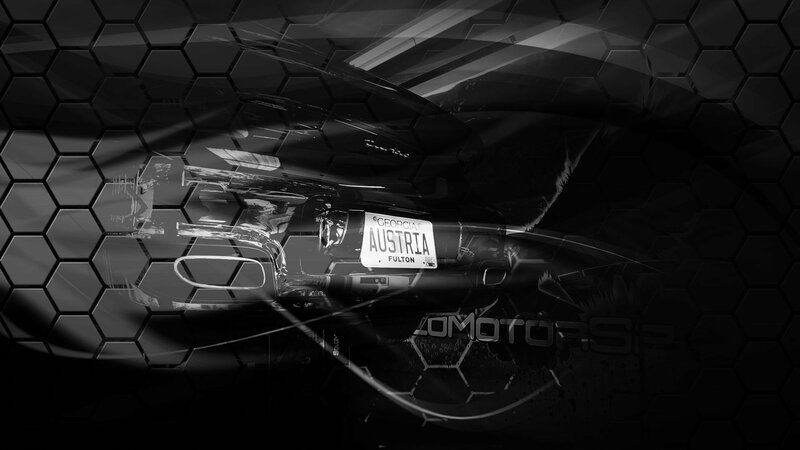 Solo Motorsports is a leader in the industry with both the technical expertise to match the right tire to the right vehicle, and the most exceptional products on the market today. 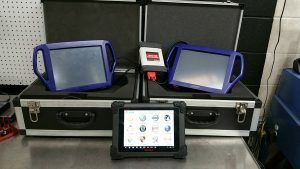 There are few places in Atlanta that offer the Hawkeye Elite wheel alignment system, which sets a new standard for wheel alignment. Don’t settle for less. Ride safer and smoother with Solo Motorsports.